For all financial problems there is a solution, if you haven’t found it yet, come to us! Have you checked out all the loan options and returned disappointed? If you are a used car dealer and want to expand your business you must have realized that getting a bank loan is not easy. The traditional business funding machinery believes the used car dealership to be a high-risk business. According to them, this business involves high chargebacks, bad credit histories, and chances of scams. So, if you have tried your luck and have returned empty handed, do not despair, there are alternative funding solutions to your financial woes. One of the very popular bank loan alternatives is the merchant cash advance or MCA. When you need that shot in the arm to prevent your business from getting obliterated approach us and we will assist you. 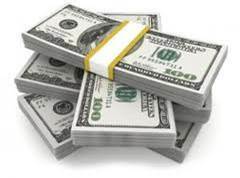 Merchant cash advance is not a loan per se but an advance on your future sales. As a result, you will receive a lump sum amount at one go. The repayment schedule is very flexible too. Unlike the traditional bank loans wherein you have to pay a large sum of money every month, in BCA’s your repayment is dependent on your sales. Some days when sales are high you pay more and days when they are low, you pay less. The repayment is calculated as a percentage of sales. Thus, the loan terms of these MCAs are simple and hassle free. Many small businesses look to MCAs for all their working capital solutions. Any excess cash outflow is a burden on a new business. With the MCA, you are not burdened with large repayment amount each month. You pay only a percentage of your debit or credit card sales on daily basis. You get your cash quick and fast. Once your application is processed, the amount is credit within 24 to 48 hours, unlike the conventional loan which takes months to get approved and even after approval it undergoes a laborious verification process. You won’t be buried under mounds of documents. The whole procedure is fairly simple and the BCA providers do not require excessive documentation to prove your credit worth. You don’t need to produce tax invoices and returns. You needn’t be worried about your credit scores when you apply for a MCA. Merchants with bad credit and high NSF’s also qualify for loans. Thus, even bad credit is okay with us. There is no collateral involved. You are granted a loan based on your future business and not your present assets. Can these funds be used for everything? You know your financial state and are the best judge to make an informed choice. We are here to assist you when you need fast cash with hassle-free documentation and unnecessary waiting time. Our underwriters will take care of all documents while you can focus on expanding your business. Your application will be processed fast and you can receive the funds directly into your bank account. Our application is quick and easy. Just fill the form online and our managers will get in touch with you. There is no obligation on your part to heed our advice. We are glad to be of any sort of assistance. We have a very lenient loan qualifying criteria. We offer flexible repayment solutions to ensure you don’t miss payments and are not burdened with additional interests. We offer 2nd position, 3rd position, 4th position and even 5th position funding solutions despite a poor credit history. We look not at your poor credit history but at a good business plan with a promise of profit and growth. We are your fallback for all your financial needs to pursue your dreams and reach for the stars. For any additional queries please feel free to talk to our friendly managers who will be happy to be of service.